Condominium Management - Condo Managemenent - Madison WI - Brumm Inc.
What Does a Condominium Management Company Do? Why Hire a Professional Condo Manager? What Does the Condominium Management Company Do? In general, homeowners witness various levels of activity from the condominium manager. Interaction ranges from no contact to intensive discussions and communications regarding financial matters, rules and regulations, and condominium community projects. Whether or not the homeowner's contact with the condo association manager is frequent or nearly non-existent, all homeowners see an item at budget time reflecting payment for condo management services for the year. We would like to summarize some of the many important tasks and duties of the condo association manager. The basic functions of the condominium manager are to provide the expertise and research necessary to assist the board in making decisions, to implement board decisions, and to administer the operation of the physical assets, the services, and the programs of the condo association in accordance with the policies and guidelines of the board. The manager's duties are administrative, financial, and operational in nature. Together, they enhance the value of the property and maximize the sense of community. The condo manger assists the board, prior to and during the budget process, brings facts and figures to the board for its review and facilitates the research of issues and items pertinent to developing the budget; drawing from the condominium management company's experience and expertise. The condo manager prepares the preliminary budget proposal upon which the board bases its final budget deliberations. The condo manger calculates all assessments for the coming year and reconciles homeowner accounts based on the previous year's actual operations. The condo manager keeps and maintains all the files and records of the condominium association including insurance policies, service contracts, financial statements, governing documents, minutes from meetings, and all correspondence. 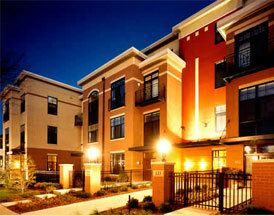 The condo manager coordinates, schedules, and supervises the work of all service contractors. Prior to contracting for condominium services, the manager assists the board in developing specifications to meet the individual needs of the property. The condo manager facilitates the bidding process and selection of particular contractors. It is also the responsibility of the condo manager to evaluate contractor performance and to recommend adjustments in specifications, payment terms, or other contract provisions based on his or her evaluation. The condo manager performs all back-office functions related to disclosure requirements for the sale of homes. The manager provides the necessary paperwork to realtors conforming to applicable state statutes. The condo manager pays all bills of the association and collects all common area charges. The manager checks invoices, verifies expenditures in accordance with the adopted budget, and follows up on bills received by the condominium association that may be in dispute. The condo manager maintains the financial records of the condominium association including preparation of a balance sheet, budget analysis, general ledger, accounts payable and receivable summary, and a reconciliation of all condominium association bank and investment accounts no less than on a monthly basis. A financial package is presented to the board on a monthly basis. The condo manager organizes all board meetings and the annual meeting and completes all condominium association mailings. The condo manager implements and enforces the policies, rules, and regulations of the condominium association. The breadth of responsibilities range from administrating conduct with respect to parking or animals to collecting delinquent fees. The condo manager also deals with technical issues such as homeowner remodeling or leasing. Finally, the most underappreciated and perhaps the most valuable part of the condo manager's job is fielding the dozens of calls, inquiries, and requests each month from homeowners. From mail delivery, to keys, to occasional frustrated or angry calls; homeowner contact makes up a large portion of the condo manager's involvement with the condominium association. Though management's functions are not always visible to all homeowners, condo management provides not only the basic services that make the property and condominium association run smoothly but, also the presence and expertise to handle the extraordinary and sometimes unexpected circumstances or events associated with community living. To a large extent the success of any community association rests with its management. While some condominium associations prefer to be "self-managed", in our opinion that choice is not preferable. Even if a self-managed board has a full time paid superintendent or site manager the members of the board of directors still must be involved in the day to day operations. Often time board members do not have the time, training, or resources to handle the tasks. Whether your condominium association is comprised of 4 units or 400, it is, and should be, conducted as a business. The board has a fiduciary duty and the responsibility to make decisions and act in a reasonable and informed manner. The board must make sound business judgments. A good business decision is to avoid becoming involved in every detail of condominium property management. A professional condo manager has the training, experience, and resources to provide excellent service and to accommodate staff scheduling issues necessitated by vacations, personal life adjustments and emergency situations. A well run condominium association should hire a professional condominium management company and carefully delegate responsibilities to them. Secondly, the board should adequately supervise the condo manager to make certain that the manager is fulfilling their obligations. A board that delegates but, does not adequately supervise is likely to have a relationship with the condominium management company that is unsatisfactory to all parties. The board should look to the condominium management company to assist the board in the decision making process expecting technical expertise, research, and organization of pertinent information. The condominium management company should be relied on to implement the board's decisions and administer the services, programs, and facility operations within the policies and guidelines set by the board. The primary differentiation is experience. With over eighteen years of condominium property management experience we are prepared to help when the community faces the inevitable challenge. We believe that professional condo managers should carry professional credentials. All community managers are certified or actively seeking certification as community managers. Members of our team also hold a variety of property management and facilities engineering credentials. Brumm Inc. serves a targeted market and is deployed such that it has the depth of talent and resources to provide continuous seamless service when employees are absent. Our ability to tap larger organization's resources is valuable to handle the inevitable emergencies that arise. We pride ourselves on developing options and working with the Board to implement solutions to the challenges faced at each condominium property. We are facilitators, not just administrators. Our value is not in what we know about your property but, how we communicate that knowledge to the Board so they can use the knowledge to make the best possible decisions. Brumm Inc. is serious about protecting your assets and is fully insured. We maintain not only general liability insurance but, also errors and omissions coverage and fidelity insurance on every employee.